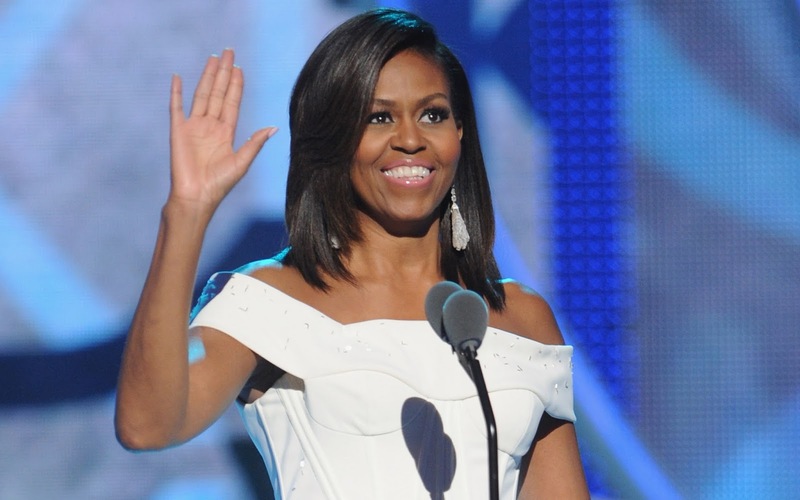 Indirasite: The reason why the Michelle Obama became the best first lady? The reason why the Michelle Obama became the best first lady? various reasons. She said it was the most honorable moment and that she took the privilege to serve the nation as the first lady. He spent most of her time working very inspiring works for younger children, veterans and present members of a military family. The major reasons why she has stayed in the eyes of the people and why she become one of the influential and the best First Lady in the history have some significant reasons that I want to present with you very briefly. She spent most of her time working tirelessly for the children and women not just in America but throughout the world. She started the ‘Lets Girls Learn’” initiated and hosted the United State of Women summit. Her inspirational speech toward the change and toward the future of the children became the real platform which affects the change for women. Michelle is one of the most influential, confident women who never afraid to talk about what means to be black in America. In many speeches, she reminded the black students to work hard and preserve the rights and dignity as human regardless of what people make an assumption based on their backgrounds. 3. She is an Amazing Mother and inspiration to all the girls. She is also one of the amazing mothers who care about her daughter's future and wants to make sure the future of the all the children making sure for them a healthy diet and usual sanitary actives. As a privilege of being a woman, she stands as an example of being a good mother who understands the needs and values of her children. She impressed the world by the way she managed to raise her daughters in the fishbowl of the White House. She credited her mother in many times for taking and transferring the ways to her from her mother. Michelle Obama dedicated her time in the White House during her tenure to campaign for more school counselors and encouraging post-secondary school educations. Her aim was to reach the American to the highest proportion of the graduates in the world by 2020. She also played the role to encourage the women and uplift their movements for equality and justice, which she showed up while addressing the Hillary Clinton campaign. The role of the first lady as the president is remarkable as her compassion and love toward her family and husband. She supported her husband's campaign since the beginning and her address during the Democratic National convention of 2008 and 2012 are remarkable in the world. She has a great empathy, strength, and power to influence to the people of the world and has a great passion for love toward his husband and family. She is not only a woman and first lady but one of the most talented and successful women of the world who deserve dynamic performance all the ways, ensuring to make everything go in the right direction with integration and loyalty and focusing everyone with the encouragement. Her support and focus were incredible components for the success of her husband during her presidency.